Welcome to Japan Industry News! By choosing to use the Service, you agree to accept all of the terms and conditions of the Agreement between you and us. We may change the terms of this Agreement at any time. They will become binding when we post a notice on the Service that the terms have been “updated” or any such words. The changes will also be reflected in this document, which you can access at any time through a link at the footer of all websites belonging to the Service. If you do not wish to accept the new terms, you should not renew your subscription, as your continued use of the Service after the terms have been updated indicate your acceptance of the changes. We reserve the right to withdraw or amend any aspect of the Service, and any feature or material we provide, in our sole discretion without notice. We will not be liable if for any reason all or any part of the Service is unavailable at any time or for any period. From time to time, we may restrict your access to some parts or the entire Service. If you choose, or are provided with, a user name, password or any other piece of information as part of our security procedures, you must treat such information as confidential, and you must not disclose it to any other person or entity. You also acknowledge that your account is personal to you and agree not to provide any other person with access to the Service or portions of it using your user name, password or other security information. You agree to notify us immediately of any unauthorized access to, or use of your user name or password, or any other breach of security. You also agree to ensure that you exit from your account at the end of each session. You should use particular caution when accessing your account from a public or shared computer so that others are not able to view or record your password or other personal information. You agree to notify us promptly if you change your billing address and email address, so that we can continue to contact you and send you any notices required hereunder. Should you fail to notice us promptly then any notice we send to your old address shall be deemed sufficient. We have the right to disable any user name, password or other identifier, whether chosen by you or provided by us, at any time if, in our opinion, you have violated any provision of this Agreement. The Service may contain interactive features (“Interactive Services”) that allow users to post, submit, publish, display or transmit to other users or other persons (hereinafter, “post”) content or materials (collectively, “User Contributions”) on or through the Service’s websites. All User Contributions must comply with the Content Standards set out in this Agreement. Any User Contribution you post to the site will be considered non-confidential and non-proprietary. By providing any User Contribution on the Service’s websites, you grant us and our affiliates and service providers, and each of their and our respective licensees, successors and assigns the right to use, reproduce, modify, perform, display, distribute and otherwise disclose to third parties any such material for any purpose. All of your User Contributions do and will comply with this Agreement. If you believe that any User Contributions violate your copyright, please send us a notice of copyright infringement to contact@japanindustrynews.com. It is our policy to terminate the user accounts of repeat infringers. The contents provided by the Service, and its features and functionality (including but not limited to all news articles, text, images, photographs, video and audio, also known as the “Content”) are protected by copyright and owned and controlled either by the Company (www.japanindustrynews.com), the newspaper companies who host their English sites through the Japan Industry News Network (respective newspaper sites), or the party otherwise credited as the provider of the Content. The Service and its Content are protected by Japanese and international copyright, trademark, patent, trade secret and other intellectual property or proprietary rights laws. The Agreement permits you to use the Service for your personal, non-commercial use only. You may not reproduce, distribute, modify, create derivative works of, display, perform, republish, download, store or transmit any of the Content or the Service in whole or in part, unless otherwise permitted under the Japanese Copyright Act. Explicitly, you may not create apps, or other products, which use our Content without our consent, and you may not aggregate or by any other means use our Content in a way that could reasonably serve as a substitute to a subscription to our Service. You may use the Service only for lawful purposes and in accordance with the Agreement. We reserve the right to terminate or restrict your access to the Service if, in our opinion, you violate the terms of this agreement. Subscriptions are available for purchase separately for each newspaper site within the Japan Industry News Network. For each newspaper site, you may order single-user or multiple-user subscriptions. The subscription fees will be displayed separately on each newspaper site. You are responsible for any fees or charges incurred to access the Service through an internet access provider or other third party service. Orders for subscriptions paid electronically may be placed directly through the internet on each newspaper site. 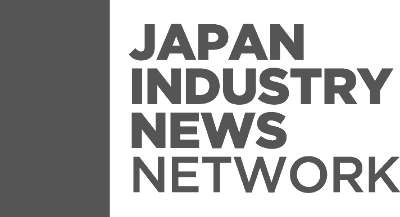 Orders for subscriptions invoiced and paid by bank transfer may be placed by contacting Sales via email at contact@japanindustrynews.com. Please note that your order is an offer to buy from us and that the offer will only be considered accepted once we have sent you confirmation of your order by email. We reserve the right to refuse or accept any order for any subscription for any reason. Subscriptions within the Service are available for either a subscription period of One (1) month or, at a discount, for a subscription period of Twelve (12) months (Either case, hereinafter “Subscription Period”.). Once you have placed an order for subscription, the subscription will continue and renew itself on a rolling basis for the elected Subscription Period unless and until it is ended by either of us in accordance with the provisions described in the section “Refunds and Cancellation”. We have the right to withdraw or change any subscription and/or any fee at any time. This will not affect any subscription you have already paid for, unless for some reason we are withdrawing a subscription due to our inability to fulfill that subscription, in which case provisions described in the section “Refunds and Cancellation” will apply. Your subscription period formally starts once we have confirmed receipt of your payment and granted you access to the Service. You agree to pay the subscription fee for the subscription package you have chosen to purchase. You must provide your complete and accurate payment information. For single-user accounts, payments can be made in electronic form via credit card. For multi-user accounts, payments can be made electronically via credit card or invoiced via bank transfer. If payments are made via bank transfer, the subscriber is responsible for bearing all bank transfer fees. If payments are made in electronic form, you may receive immediate access to the Service. If payments are made invoiced via bank transfer, you will receive access to the Service once we confirm receipt of payment. If payments are made in electronic form, subscription fees will be billed at the beginning of your subscription or any renewal. If payments are made invoiced via bank transfer, subscription fees will be billed at agreed intervals. If you are subscribing on a rolling Twelve (12) month interval, we will send you a reminder of your upcoming renewal with a notice of at least Seven (7) days (electronic payment) or Thirty (30) days (invoiced payment). If you are subscribing on a rolling One (1) month interval, we will refrain from sending any reminders. If you subscribe using electronic payment, we will continue to take payments through the agreed means at the agreed frequency. If you subscribe using invoiced payment, we reserve the right to temporarily suspend or cancel your subscription to the Service if we cannot confirm receipt of payment by the date due for renewal. We have the right to change subscription fees at any time. If we do so, we will notify you by email. Any such change will not affect your subscription during the Subscription Period you have already paid for, but will take effect upon renewal of your subscription. If you do not agree with the changed subscription fee, you may opt out by not choosing to renew your subscription. Once we have accepted your subscription and payment, your subscription cannot be cancelled until the end of the current Subscription Period. Cancellations can be made by email to contact@japanindustrynews.com. If you subscribe via electronic payment, we will require at least Three (3) working days notice prior to your renewal date. If you subscribe invoiced via bank transfer, we will require at least Fourteen (14) days notice prior to your renewal date. We have the right to cancel your subscription immediately if for some reason we are unable to fulfill your subscription, or if you violate any of your obligations under this agreement, including if we do not receive a payment when due from you. Under exceptional circumstances we may, under our sole discretion, issue a proportionate refund; if we, under exceptional circumstances, issue a refund, we are under no obligation to issue the same or similar refund in the future. In case we decide to issue a refund, we shall refund you within a reasonable period of time after the cancellation notice. However, we do not undertake to review all material, including User Contributions, before it is posted on the Service’s websites, and cannot ensure prompt removal of objectionable material after it has been posted. Accordingly, we assume no liability for any action or inaction regarding transmissions, communications or content provided by any user or third party. We have no liability or responsibility to anyone for performance or nonperformance of the activities described in this section. These content standards apply to any and all User Contributions and use of Interactive Services. User Contributions must in their entirety comply with all applicable Japanese and international laws and regulations. The information presented on or through the Service is made available solely for general information purposes. We do not warrant the accuracy, completeness or usefulness of this information. Any reliance you place on such information is strictly at your own risk. We disclaim all liability and responsibility arising from any reliance placed on such materials by you or any other user of the Service, or by anyone who may be informed of any of its contents. The Service may include content provided by third parties, including materials provided by other users, bloggers and third-party licensors, syndicators, aggregators and/or reporting services. All statements and/or opinions expressed in these materials, and all articles and responses to questions and other content, other than the content provided by us, are solely the opinions and the responsibility of the person or entity providing those materials. These materials do not necessarily reflect our opinion. We are not responsible, or liable to you or any third party, for the content or accuracy of any materials provided by any third parties. You may link to the Service’s websites, provided you do so in a way that is fair and legal and does not damage our reputation or take advantage of it, but you must not establish a link in such a way as to suggest any form of association, approval or endorsement on our part without our prior written consent. When establishing the link, you are expressly prohibited to use any logo belonging to the Service without our prior written consent. You may use these features solely as we provide them, and solely with respect to the content they are displayed with. Otherwise take any action with respect to the Content that is inconsistent with any other provision of this Agreement. If our websites contain links to other sites and resources provided by third parties, these links are provided for your convenience only. This includes links contained in advertisements, including banner advertisements and sponsored links. We have no control over the contents of those sites or resources, and accept no responsibility for them or for any loss or damage that may arise from your use of them. If you decide to access any of the third party websites linked to our websites, you do so entirely at your own risk and subject to the terms and conditions of use for such websites. You understand that we cannot and do not guarantee or warrant that files available for downloading from the internet or the Service’s websites will be free of viruses or other destructive code. You are responsible for implementing sufficient procedures and checkpoints to satisfy your particular requirements for anti-virus protection and accuracy of data input and output, and for maintaining a means external to our site for any reconstruction of any lost data. WE WILL NOT BE LIABLE FOR ANY LOSS OR DAMAGE CAUSED BY A DISTRIBUTED DENIAL-OF-SERVICE ATTACK, VIRUSES OR OTHER TECHNOLOGICALLY HARMFUL MATERIAL THAT MAY INFECT YOUR COMPUTER EQUIPMENT, COMPUTER PROGRAMS, DATA OR OTHER PROPRIETARY MATERIAL DUE TO YOUR USE OF THE SERVICE’S WEBSITES OR ANY SERVICES OR ITEMS OBTAINED THROUGH THE SERVICE’S WEBSITES OR TO YOUR DOWNLOADING OF ANY MATERIAL POSTED ON THEM, OR ON ANY WEBSITE LINKED TO THEM. YOUR USE OF THE SERVICE’S WEBSITES, THEIR CONTENT AND ANY SERVICES OR ITEMS OBTAINED THROUGH THE SERVICE’S WEBSITES IS AT YOUR OWN RISK. THE SERVICE’S WEBSITES, THEIR CONTENT AND ANY SERVICES OR ITEMS OBTAINED THROUGH THE SERVICE’S WEBSITES ARE PROVIDED ON AN “AS IS” AND “AS AVAILABLE” BASIS, WITHOUT ANY WARRANTIES OF ANY KIND, EITHER EXPRESS OR IMPLIED. NEITHER US NOR ANY PERSON ASSOCIATED WITH US MAKES ANY WARRANTY OR REPRESENTATION WITH RESPECT TO THE COMPLETENESS, SECURITY, RELIABILITY, QUALITY, ACCURACY OR AVAILABILITY OF THE. WITHOUT LIMITING THE FOREGOING, NEITHER US NOR ANYONE ASSOCIATED WITH US REPRESENTS OR WARRANTS THAT THE SERVICE, ITS CONTENT OR ANY SERVICES OR ITEMS OBTAINED THROUGH THE SERVICE WILL BE ACCURATE, RELIABLE, ERROR-FREE OR UNINTERRUPTED, THAT DEFECTS WILL BE CORRECTED, THAT OUR SITE OR THE SERVER THAT MAKES IT AVAILABLE ARE FREE OF VIRUSES OR OTHER HARMFUL COMPONENTS OR THAT THE SERVICE OR ANY SERVICES OR ITEMS OBTAINED THROUGH THE SERVICE WILL OTHERWISE MEET YOUR NEEDS OR EXPECTATIONS. THE FOREGOING DOES NOT AFFECT ANY WARRANTIES WHICH CANNOT BE EXCLUDED OR LIMITED UNDERAPPLICABLE LAW. IN NO EVENT WILL WE, OUR AFFILIATES OR THEIR LICENSORS, SERVICE PROVIDERS, EMPLOYEES, AGENTS, OFFICERS OR DIRECTORS BE LIABLE FOR DAMAGES OF ANY KIND, UNDER ANY LEGAL THEORY, ARISING OUT OF OR IN CONNECTION WITH YOUR USE, OR INABILITY TO USE, THE SERVICE, ITS WEBSITES, ANY WEBSITES LINKED TO IT, ANY CONTENT ON THE SERVICE’S WEBSITES OR SUCH OTHER WEBSITES OR ANY SERVICES OR ITEMS OBTAINED THROUGH THE SERVICE OR SUCH OTHER WEBSITES, INCLUDING ANY DIRECT, INDIRECT, SPECIAL, INCIDENTAL, CONSEQUENTIAL OR PUNITIVE DAMAGES, INCLUDING BUT NOT LIMITED TO, PERSONAL INJURY, PAIN AND SUFFERING, EMOTIONAL DISTRESS, LOSS OF REVENUE, LOSS OF PROFITS, LOSS OF BUSINESS OR ANTICIPATED SAVINGS, LOSS OF USE, LOSS OF GOODWILL, LOSS OF DATA, AND WHETHER CAUSED BY TORT (INCLUDING NEGLIGENCE), BREACH OF CONTRACT OR OTHERWISE, EVEN IF FORESEEABLE. THE FOREGOING DOES NOT AFFECT ANY LIABILITY WHICH CANNOT BE EXCLUDED OR LIMITED UNDERAPPLICABLE LAW. In no event our liability to you arising out of or in connection with this Agreement should exceed One Million Japanese Yen (JPY 1,000,000) or the total of the last Six (6) months of subscription fees that the damaged subscriber has already paid, whichever lower. You agree to defend, indemnify and hold harmless us, our affiliates, licensors and service providers, and our and their respective officers, directors, employees, contractors, agents, licensors, suppliers, successors and assigns from and against any claims, liabilities, damages, judgments, awards, losses, costs, expenses or fees (including reasonable attorneys’ fees) arising out of or relating to your violation of this Agreement, or your use of the Service, including, but not limited to, your User Contributions, any use of the Content, services and products other than as expressly authorized in this Agreement, or your use of any information obtained from the Service. You are not permitted to assign your position, rights or responsibilities under the Agreement. All matters relating to the Service and this Agreement and any dispute or claim arising therefrom or related thereto (in each case, including non-contractual disputes or claims), shall be governed by and construed in accordance with the laws of Japan. Any legal suit, action or proceeding arising out of, or related to, this Agreement or the Service shall be instituted exclusively in the Tokyo District Court as the agreed court of first instance. You waive any and all objections to the exercise of jurisdiction over you by such courts and to venue in such courts. No waiver by the Company of any term or condition set forth in this Agreement shall be deemed a further or continuing waiver of such term or condition or a waiver of any other term or condition, and any failure of us to assert a right or provision under this Agreement shall not constitute a waiver of such right or provision. If any provision of this Agreement is held by a court or other tribunal of competent jurisdiction to be invalid, illegal or unenforceable for any reason, such provision shall be eliminated or limited to the minimum extent such that the remaining provisions of the Agreement will continue in full force and effect. If you have a question or complaint regarding the Service, please contact us via email contact@japanindustrynews.com or through our contact form.